I know I don't often shoot pictures of myself, but since I got the new baby camera in, I've been meaning to make more videos, and possibly shoot more pictures of myself, especially now since I got the remote in from amazon. Sorry for the lack of makeup. It's been extremely hot over here in SoCal, so that means that a lot of the times, if I know I'm not going to be in an aircon area, I will opt out of wearing makeup. How do you guys like the maxi skirt? I personally love it. Just throw on a simple T-shirt, that I stole from my brother, and I'm all set for a day out! Thanks to Shelley for sending me the skirt! If you get a chance, please check out Shelley's social media links! She's a self made woman, and we all need a little more of that in our lives don't we? Now time for the giveaway! 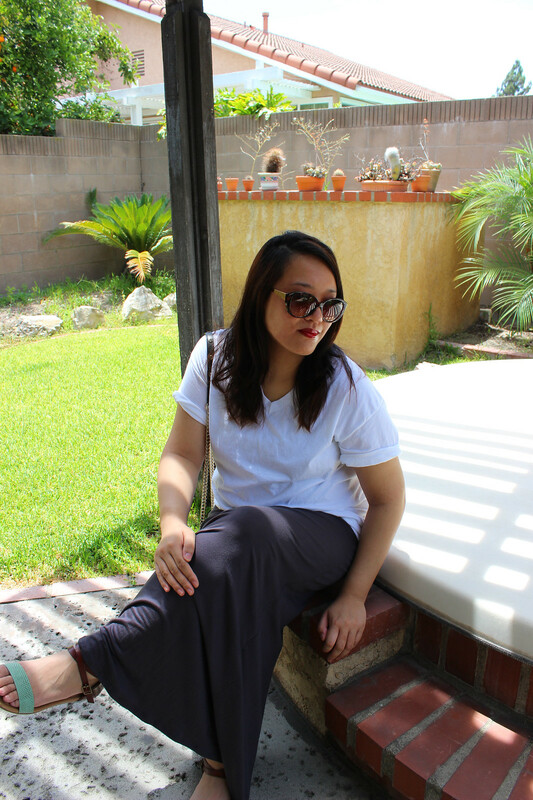 Enter to win a maxi skirt from VaultLifeStyle! This giveaway is open to US residents only. 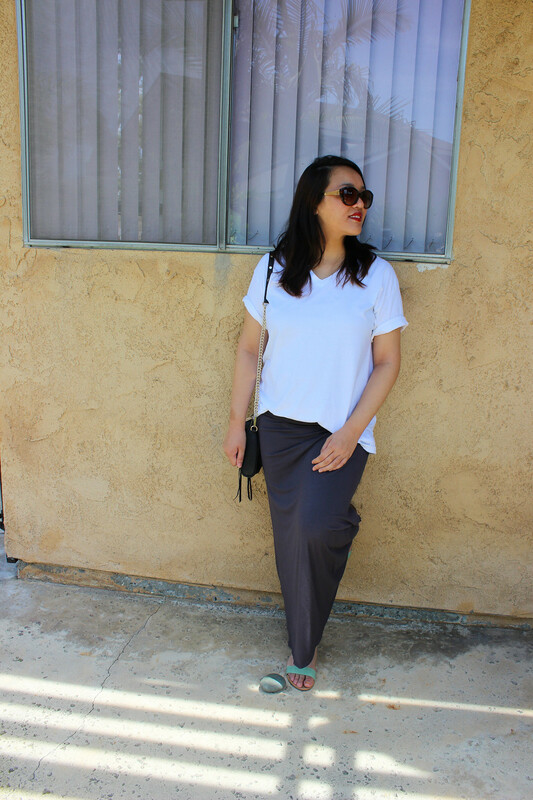 Love the maxi skirt with the tee!! I dont owe one but i would love to have one in the color teal. It is great to see you! And yep a maxi is a perfect go to for summer. Oh yeah makeup when it is hot and humid is tough to pull off. I only own one maxi skirt but i really don't like it. I would love a black one. My email address is perezashley60@hotmail.com. 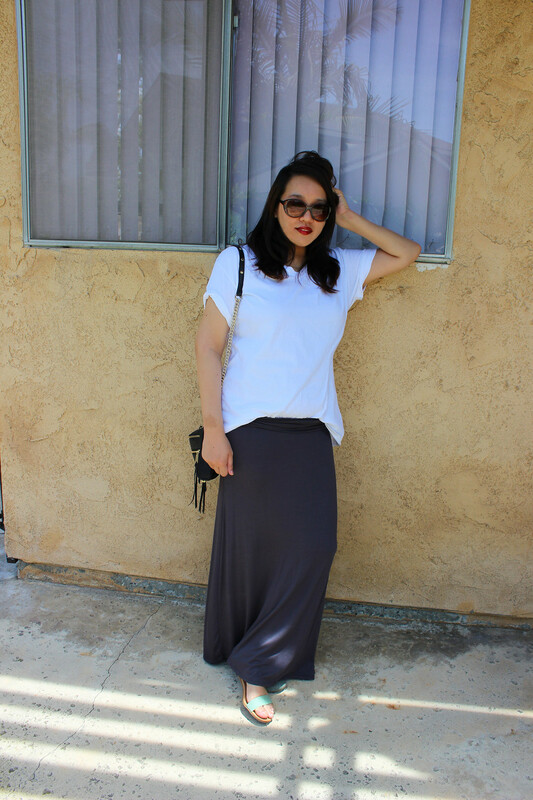 Always love a great maxi skirt and those sandals that are peeking out are pretty great too! I don't have any but I'd love a black maxi skirt. I don't own any but would love to!! I own a few and I would love some more! I love to wear them in the spring and fall or a cool night out in the summer! I don't have any but I would love a few in prints/black! Thanks so much for the giveaway! I don't, but I want some! I don't own any maxi skirts but would love to - they look very comfortable and stylish! I'd probably choose a black one because you can pretty much pair it with anything. I don't own any but it's a style I've always wanted to try! I really want a charcoal gray maxi skirt! i dont own any yet. i really want a red, mint or coral colored.